We estimate wage Phillips curve relationships between sectoral wage growth, unemployment and productivity in a country-industry panel of euro area countries. 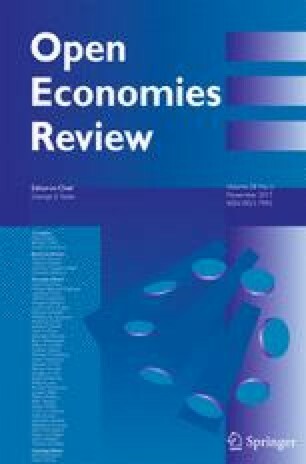 We find that institutional rigidities – such as labour and product market institutions and regulations – limit the adjustment of euro area wages to unemployment, in both upturns and downturns, particularly in manufacturing and, to a lesser extent, in the construction and service sectors. In addition, there are further limitations in the response of wages to changes in unemployment during economic downturns which suggests that euro area wages are also characterised by significant downward wage rigidities, especially in the manufacturing sector. These results are robust to specifications that account for factors that may affect structural unemployment (such as duration-dependent unemployment effects), as well as changes in the skill composition of employment that may affect the evolution of aggregate wages. The results also hold for panels including or excluding the public sector (where wages may be determined differently to the private sector also due to the effects of fiscal consolidation on public sector wages during the crisis). From a policy perspective, reforms in product and labour markets which reduce wage rigidities can facilitate employment growth and enhance the rebalancing process in the euro area. We would like to thank participants of the 2016 EEFS Conference and two anonymous referees for their helpful comments and suggestions. All views expressed in this paper are those of the authors and do not necessarily correspond with those of the European Central Bank.